We Techno Imaging Solutions is one of the largest company in India, selling & distributing range of Imaging Products all across. Established in 1995, Our Head Office & ware house is located in Mumbai, We also have several branch offices i.e. Delhi, Jaipur, Ahmedabad, Haryana. 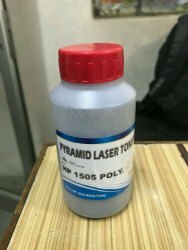 AEPL Laser Toners are formulated and developed, so as to keep print quality and print output match OEM (Original Equipment Manufacturer) Toners output. We also continuously work on our toner quality and formulations, so as to keep pace with the changing imaging industries requirements. AEPL Toner are available in 160 gm, 200 gms , 1000 gms bottles and bulk Toners are available in 10 kg Bags. HCR Info Consumables Pvt. Ltd.
Our organization is offering a comprehensive array of Laser Toners that are fabricated as per the advanced technology. This morning mist laser toner is developed using superior grade material at our vendor's end. We offer these laser toners for HP Universal/HP Series, Samsung/Brother Universal and various other printers. 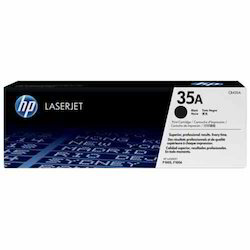 We are the leading dealer of HP Toner- 125A at Mumbai region. We also provide services at Pune, Hyderabad, Chennai etc. We are one of the older supplier of office accessories and we deliver products on time. We are looking fore corporate tie ups as well. - Package Dimensions: 22.6" x 11.7" x 12.6"
The number of pages indicates the approximate range at 5% coverage.